Core Security has more going on at Black Hat USA in 2009 than ever before, with the concept of helping customers improve their overall security standing at the center of everything we plan to do. It’s hard to believe that an entire year has passed since the ethical hacking community last convened amid the neon lights and desert sands of Las Vegas for the annual Black Hat convention, but here we are with just days left to go before the show kicks off again. A year ago, I’d only been working in this corner of the IT security market for several months and Core Security was using Black Hat to re-launch our entire company and rebrand our CORE IMPACT automated penetration testing solutions. 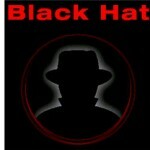 Now, on the eve of Black Hat USA 2009, a great deal has changed for both our business and the industry at large. What remains the same about Black Hat is the incredible opportunity available for us to get in front of our peers in the security software and research sectors, and of course, the many organizations sending their employees to attend and hear about the fascinating new technical discoveries and product innovations that highlight the continued evolution of our market. Looking back at the news that has come out of previous Black Hat shows, generated both by Core and its many colleagues in the industry, it’s clear that with each year the conference only becomes more mainstream and relevant to a wider audience – mirroring the maturation of ethical hacking, and in our case, the penetration testing solutions space, itself. And it seems that 2009 will only see this trend continue. Perhaps the best evidence of the increasing acceptance and adoption of the critical IT security processes we address came in June when Jeff Moss, founder of Black Hat and Defcon and an ethical hacker himself, was sworn into the Homeland Security Advisory Council, which provides recommendations directly to Secretary of Homeland Security Janet Napolitano. While we’d defend that our space, and the Black Hat community itself, have been embraced broadly by customers and experts including the news media for many years now, Mr. Moss’ appointment is about as high-profile an endorsement of the value we in this community provide as anyone could conjure. Black Hat Remains at our Core For Core, Black Hat 2009 represents the culmination of many different efforts that highlight the rapid evolution and maturation of our company and its market space. In addition to our traditional role in presenting research to Black Hat attendees – with researchers’ Alfredo Ortega and Anibal Sacco planning to reveal some truly eye-opening discoveries – Core is using this year’s conference to engage with our customers and users in a number of exciting new ways. First off, Core will be meeting with a select group of senior executives representing our largest and most dedicated clients to launch its new Customer Advisory Board (CAB). This initiative likely represents the realities of where our company is moving more than any other planned Black Hat activity as we advance our enterprise relationships with influential end users, and seek their guidance in furthering the development of our products to meet their most significant security needs. A second element of this effort around strengthening ties with our users will be found in the largest meeting yet of our existing Core Customer Community (CCC), which will be focused on getting feedback on our products from many more of the people using them in the trenches today. I’m also proud to announce that Core will be launching its first official certification program for CORE IMPACT users, and another aimed at trainers who teach others how to best use our products in the field. This ties right back into the other efforts that I’ve listed. To be successful tomorrow, we must better communicate and engage those people driving our business today. Ensuring that users get the most out of our technologies via formalized training is one of the best ways that I can think of to realize that goal. Finally, we’ll also be holding our second annual party for users and business partners, another important group with whom we’ll be meeting and communicating with at the show. Considering everything that we’ve got scheduled, 2009 represents without question the biggest presence that Core Security has ever had at Black Hat, so it’s hard not to get excited to fly out there and get everything underway. I hope to see many of you there.